Successful. 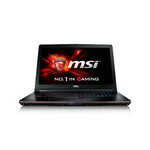 The MSI GE72 is a 17.3-inch gaming notebook with great performance and a strong panel with 94% sRGB coverage. 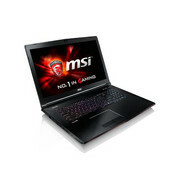 Overall, MSI offers a good package for gamers. 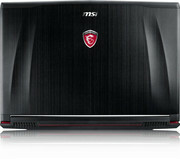 Being another gaming laptop from MSI, one can expect a powerful and excellent looking device. 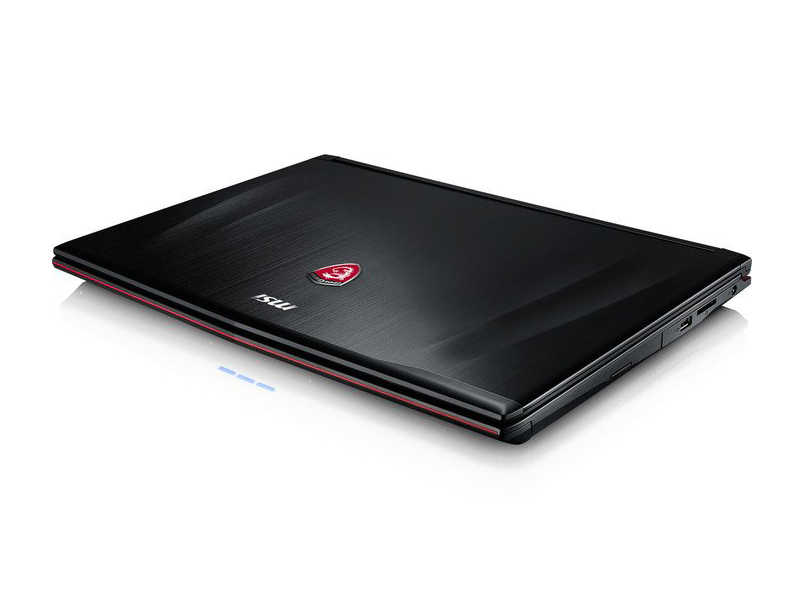 The MSI GE72-2QEi716H21BW certainly fits the bill with its metallic chassis, color scheme and performance. The laptop is engineered to be lightweight yet durable as it made form Mg-Li instead of the more traditional aluminum. The entire device features a brushed metal design and there are streaks of red highlighting the dark grey color. Another common feature of most MSI gaming series is the SteelSeries keyboard with multi-color LED backlight. Under the hood, there are a 4th generation Intel Core i7 processor, up to 16 GB DDR3L 1600 MHz RAM, an NVIDIA GeForce GTX965M GPU with 2 GB GDDR5 VRAM and up to 768 GB Super RAID 2 + 1 TB HDD combo for storage. 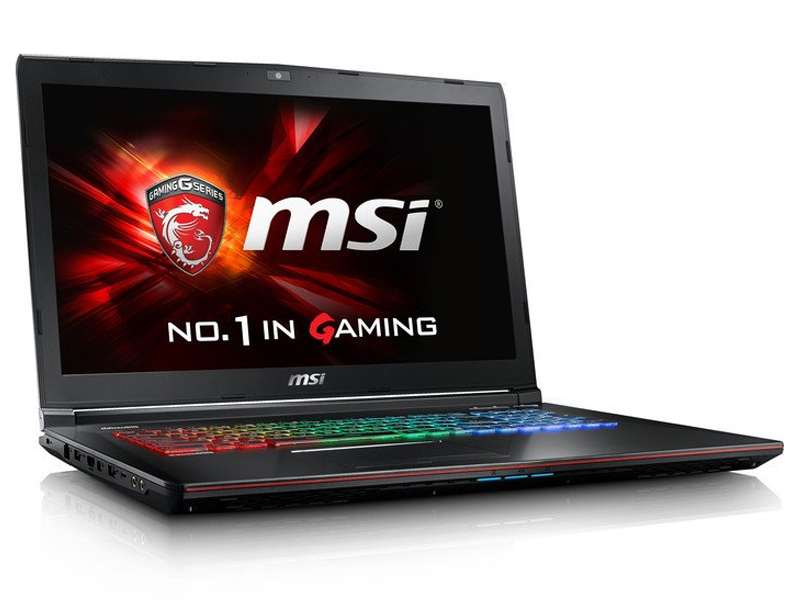 The MSI GE72-2QEi716H21BW is a beast of a gaming rig yet remains relatively portable at just 2.7 kg. Display on the laptop is a gigantic 17 inch FHD anti-glare panel with good colors and clarity. Gaming intensive users will feel right at home especially since the device also comes with good audio quality. Sound is provided by Dynaudio and Nahimic sound technology and is delivered by a 4.1 sound system. Other features include a HD webcam, Bluetooth 4.0, an HDMI port, three USB 3.0 ports, a USB 2.0 port and Killer GB LAN. Battery life is impressive with a 6-cell Li-Ion pack powering the device. Ready for games with Skylake. Fallout 4, Black Ops 3, Battlefront – autumn brings a lot of challenge for gamers. MSI has refreshed its line-up for the gaming festival and improved the GE72 a lot: Apart of an up-to-date Intel quad-core CPU, the 17-inch fireball got an IPS panel and a USB 3.1 port. However, the price went up quite a bit, too. Is this justified? 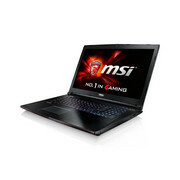 The MSI GE72 6QF-009RU Apache Pro is a high performance laptop built for gaming purpose. It features 6th Generation Intel Core i7 6700HQ processor with Intel HM170 chipset, up to 32 GB DDR4-2133 RAM, 2 RAM slots, and a GeForce GTX970M graphic card with GDDR5 3 GB VRAM. As for storage, it features a 2.5” HDD slot and a NVMe M.2 SSD by PCIe Gen3 X4 slot. Thus, it supports both an HDD and an SSD. In addition, it comes with a DVD Super Multi Writer drive and a full-color backlight SteelSeries keyboard. 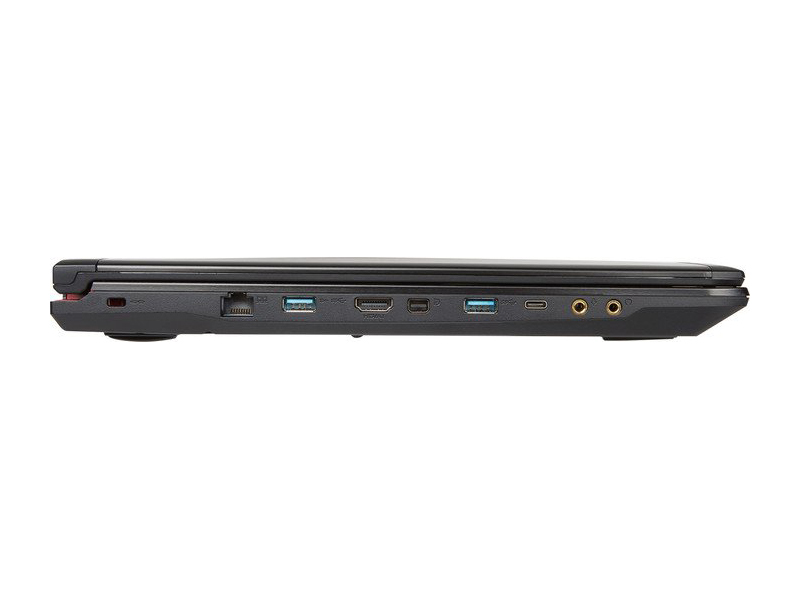 As a gaming laptop, entertainment features such as audio and video are important. For audio, Sound by Dynaudio with woofer, exclusive Audio Boost Technology and the Nahimic Audio Enhancer make for quality audio output. 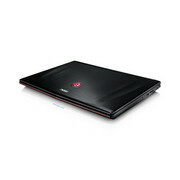 The 17.3-inch display features Full HD resolution of 1920 x 1080 pixels. The laptop's HD webcam is capable to capture 720p HD videos at 30 fps. For connectivity, it features Killer E2400 Gigabit Ethernet with Killer Shield for Local Area Network connection and WiFi 802.11ac and Bluetooth 4.0 for wireless communication. As for interfaces, it has a HDMI v1.4 port, a USB 2.0 port, two USB 3.0 ports, a USB 3.1 Type-C port and a Mini-DisplayPort. 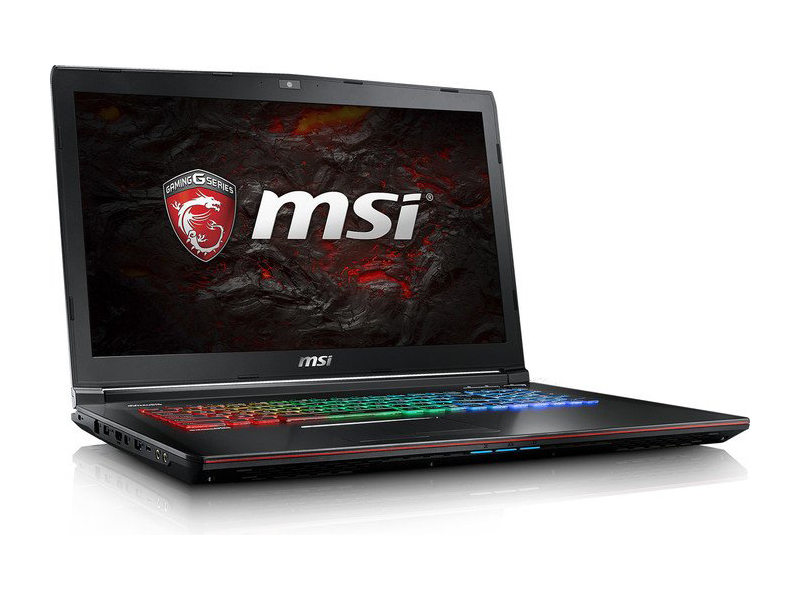 Considered as the leading gaming laptop manufacturer, MSI is expected to grow significantly in this quarter as reported by the Taiwanese journal DigitTimes. MSI is following the trend of ultra-slim laptops, which aim at convenience and easiness for users when travelling, while preserving powerful performance. The user currently could experience products with great technological specifications as well as incredible design. 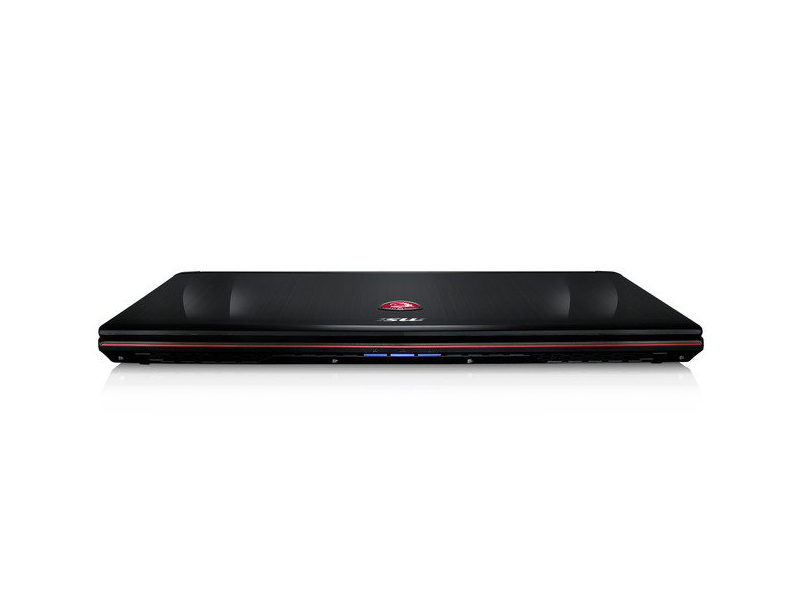 One of the luxurious super thin powerful laptops that we would mention here is the MSI GE72VR Apache Pro with remarkable upgrades. 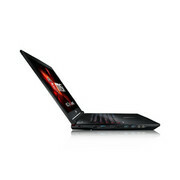 For example, the technological boundaries have been touched with the Hi-fi audio solutions and attractive RGB lighting as a remark from page ETekNix and the combination of the Intel Core i7-6700HQ processor and NVIDIA GeForce GTX 1060 6 GB graphics card created an extreme efficiency in this laptop. 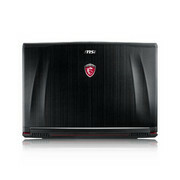 Through the curved and sporty appearance featured, the edges of MSI GE72VR Apache Pro are smooth and gentle grooves wing the plain, raised emblem at the enclosure’s top (evaluation of page Gameranx.com). Also from this page, the GE72VR Apache Pro is considered to come with the Steelseries keyboard inside, whose lettering and four sides of the chiclet keys are transparent, allowing for quite a dazzling light show. Moreover, the keyboard of this product can customize up to six lightning effects. “The product’s sublime red and black colour scheme is the perfect match for the core gaming demographic and should appeal to most users considering a high-end gaming laptop”, says ETekNix. In general, as commented from ETekNix, with the simple and clean design, there isn’t much to see other than a couple of stickers. The GE72VR Apache Pro is powered by an Intel Core i7-6700HQ quad core processor with a clock rate of 3.5 GHz, which based on the Skylake architecture. The four CPU cores with Hyper-Threading clock between 2.6 and 3.5 Ghz and can reach a maximum of 3.3 GHz with 2 cores and 3.1 GHz with 4 cores. Not only that, the integrated HD Graphics 530 can handle the most demanding applications and excessive multi-tasking easily and the power consumption is low. Besides, the manufacturer MSI has equipped this product with 16 GB of DDR4 2133 MHz RAM and the RAM capacity can be upgraded to up to 32 GB. 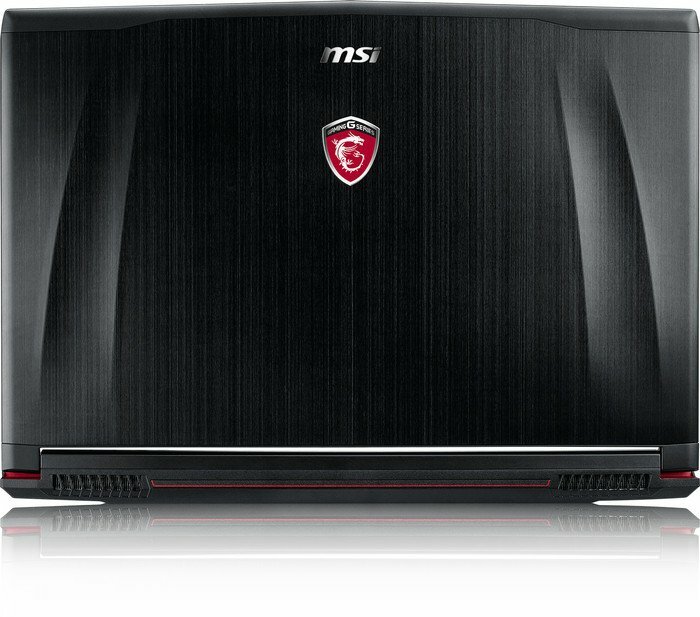 MSI has equippped this laptop with a anti-glare 17.3-inch IPS display with a Full HD resolution in order to make the greatest visual for the users. And “Thanks to the IPS panel, the GE72VR Apache Pro’s 17.3” screen is capable of appropriately rich visuals. Backlight bleed was minimal to non-existent” (remarked by Gameranx). However, the page TechPowerUp says “The 1920 x 1080 display is actually an AH-IPS panel from LG, but it is sadly only a 6-bit panel, though its viewing angles are still good”. The reviewers used PCMark 8 Home to test general computing performance through various tests, which cover web browsing, writing, photo editing, video chat and playback, and casual gaming. 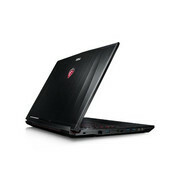 According to TechPowerUp, the MSI GE72VR 6RF Apache Pro achieved 3956 points and page EtekNix reports 4027 points, which are respectable scores and somehow the laptop showcases its fantastic performance in a wide range of common tasks including photo editing, web browsing and light gaming (evaluated from both ETekNix and TechPowerUp). For the 3DMark, ETekNix has gone with a conclusion that the power of this laptop is quite close to a high-rated desktop utilising the Gigabyte G1 Gaming GTX 1060. And thanks to the Pascal technology of the new GTX 10 graphis card series, the gaming laptop performance has made a significant improvement. The Nvidia GeForce GTX 1060 with 6 GB of VRAM, which is considered to be a graphics card for high-end laptops, is based on the Pascal architecture and manufactured in 16 nm FinFET at TSMC, the GPU uses the smaller GP106 chip. 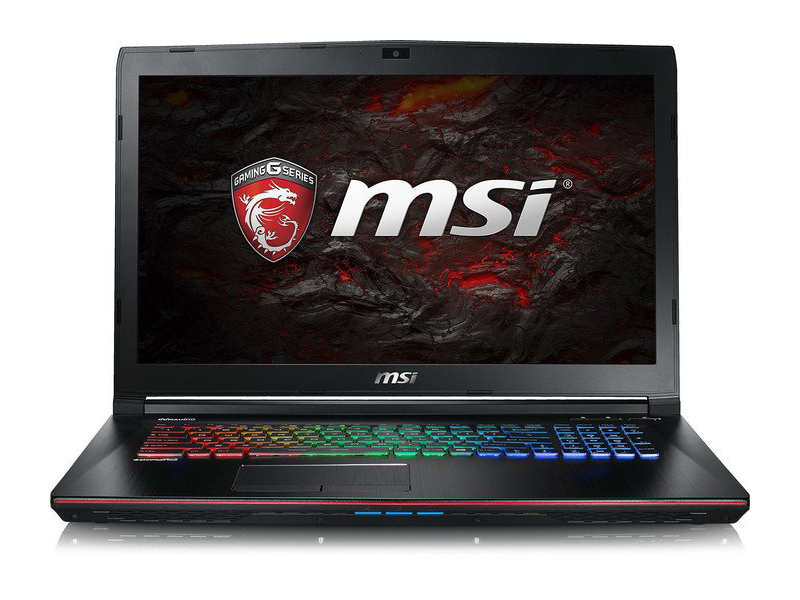 When compared to the desktop version of GTX 1060, the laptop version offers the same amount of shaders, but slightly lower clock rates, while it is able to offer 40% higher performance than the GTX960M, which was released last year. With the dedicated graphics of Nvidia GTX 1060, the laptop itself did very well in Gameranx’s 1080p benchmark. In addition, it smoothly runs MOBA games. For example, it can reach up tp 122.1 fps in DOTA 2 with ultra setting, in which every detail is configured to its maximum. Benchmarked by page ETekNix, the laptop can reach 82 fps on Very High preset in the game Grand Theft Auto 5, 62.5 fps on Very High preset in game Rise of the Tomb Raider, 54.7 fps on Ultra preset in game Hitman and 56 fps on Ultra preset in game Farcry Primal. However, in the game The Witcher 3 - Wild Hunt as a comment of page Gameranx, this notebook can maintain an average frame rate of 60 fps with High preset, but when in the combat, the display could drop to as low as 40 fps. Because of the powerful graphic card and other components, battery life has been a problem in gaming laptops despite the low power consumption processor. However, the GE72VR Apache Pro still performs rather well without special remark. ETekNix says: “The laptop’s battery life is passable and you should be able to achieve around 3 hours of use with the Eco mode enabled. This time would be exact if the user aims to do some basic works, and any video watching or gaming will dramatically reduce the battery life”. In addition, TechPowerUp has made a battery test with gaming, and the result is not impressive. For the game Valley lock at 60 fps limit, sadly the laptop just lasted for 38 minutes and got 56 minutes of use at 30 fps limit. Page Gameranx concluded the battery problem of this notebook: “We do not expect more than an hour of play with most modern games. Performance suffered during battery operation as well”. “The laptop’s Killer E2400 networking chip provides exceptional bandwidth numbers and maintains a very small range between the minimum and maximum results. Therefore, the network traffic is very reliable and you’re unlikely to experience any huge fluctuations”, says ETekNix. However, the Wi-Fi performance left the reviewer of ETekNix feeling underwhelmed since the speed just reached a maximum 209 Mbit/s. According to an evaluation of Gameranx, the temperatures of the MSI GE72VR Apache Pro remained below or slightly above body temperature. The primary key hovered amidst the low to mid 90s Fahrenheit. Meanwhile, the GTX 1060 idled at 46.0 degrees. And the notebook was basically silent. However, when it was under load, this laptop itself pushed out a lot of hot air. The noise increased significantly, and could be plain heard across a large room (comment from Gameranx). In general, Gameranx said accurately: “This is not a laptop to be playing games in a library”. Sound is one of the most important specs for users. 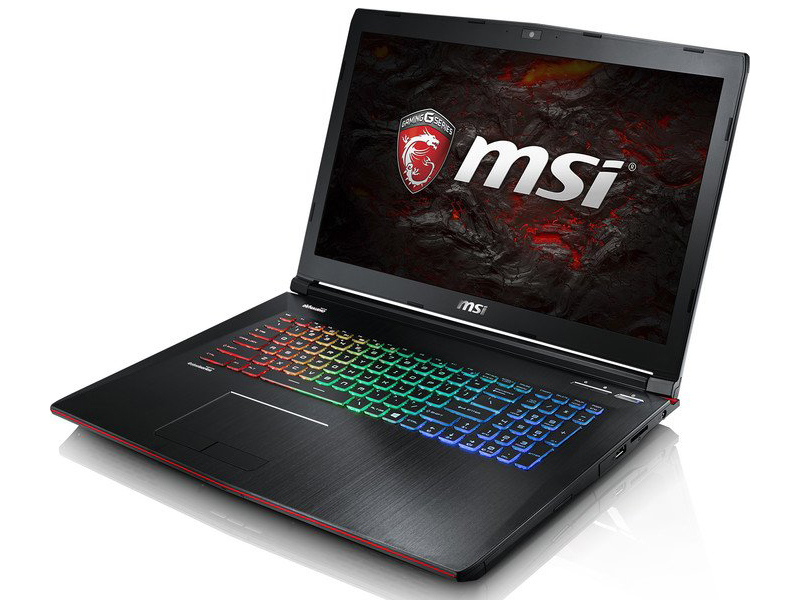 And following on page Gameranx, there is a remark about the MSI GE72VR Apache Pro’s audio like that “The laptop’s hidden speakers are more than to pump out loud audio. The action and character voices were clear and easily discernible. Thankfully, the built-in headphone AMP and Nahimic 2 audio enhancements and virtual surround sound make for a great solid experience with a pair of cans on your head”. Nevertheless, page TechPowerUp has given a short conclusion that the sound of this laptop will not give you anything remotely close to audiophile quality: “Just don’t expect a miracle of sound that will meet your mind”. According to TechPowerUp, the GE72VR Apache Pro will not surprise you, yet it is not a disappointment either. It has solid specifications, a decent touchpad, and an above average keyboard. Notwithstanding, the overall performance is quite good. And “if you want an amazing gaming laptop, EXOTIC PC and MSI deserved your attention, but you should be more than happy with just base model of the GE72VR Apache Pro”, said Gameranx. Beside that, ETekNix also has a valuable evaluation: “The MSI GE72VR Apache Pro offers a phenomenal gaming experience in a fairly portable shell. 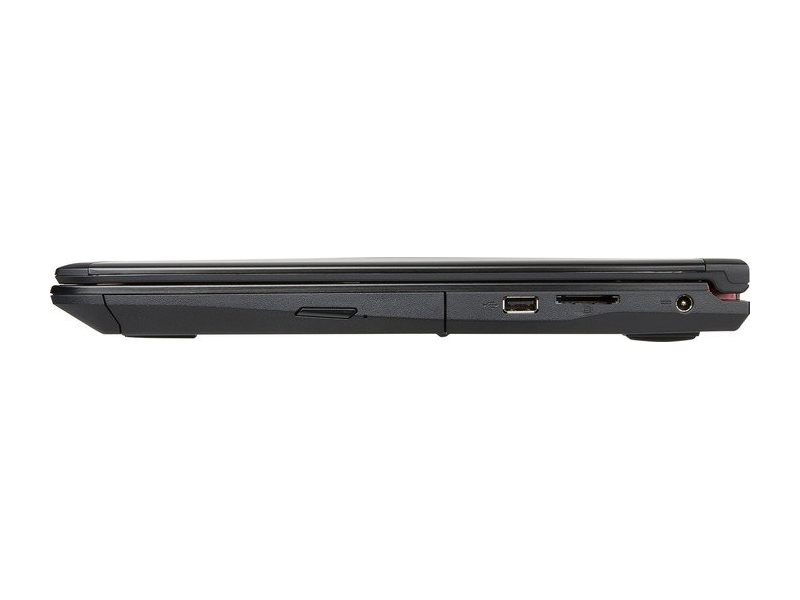 Furthermore, the laptop has a sleek, sophisticated design and looks breathtaking from every conceivable angle. While there are some flaws, the overriding experience is very positive”. To sum it up, it is obvious that MSI has not manufactured an incredible GE72VR Apache Pro, yet, it still has a lot of outstanding highlights for users to consider it a great laptop. The gorgeous brushed aluminum design is the first thing most users agree is special and could be appealing for the first sight. Then, the RGB keyboard is not only actually comfortable, beautiful and impressive, but also able to satisfy most users including the most awkward customers. Besides, “powerful” is the only word I would like to use when describing the performance of this notebook. The Intel Core i7-6700HQ quad core processor and the NVIDIA GeForce GTX 1060 6 GB graphics card make performance more powerful and get the user’s experience to a higher level. Quiet operation in idle conditions and the impeccable build quality are also advantages of the GE72VR Apache Pro. On the other hand, there are some flaws, which MSI should improve. For instance, the WiFi speed could be disappointing for some users as the result is not as good as expected and the slightly loud noise might annoy some users. In addition, battery life is acceptable, but it could be better. The main conclusion to be drawn from all analysis above is that the MSI GE72VR Apache Pro is still a perfect choice in case you would like a desktop replacement workhorse, which can do some serious gaming. 81.57%: This rating should be considered to be average. This is because the proportion of notebooks which have a higher rating is approximately equal to the proportion which have a lower rating.» Further information can be found in our Notebook Purchase Guide.